I have been following quilt blogs for a little over a year now. I was stunned at how many there were and all the variations in style and tastes. It has been a great hobby (?) or favorite activity to pop in every day or two to see what’s new. And then there are the contests and giveaways! This group is amazing in their endeavor to attract new followers and/or to just share in their love of quilting and reaching out to others of like mind. Long intro to the fact that up until this past month, I have never won any of these contests, but I always enjoy the comments and blog posts that go along with them. I don’t expect to win, but I join every now and then. I hit the jackpot twice this past month! I’m thrilled and it is just icing on the cake. The first one was on a wonderful and beautiful blog by a quilter in Australia named Meredithe Clark. 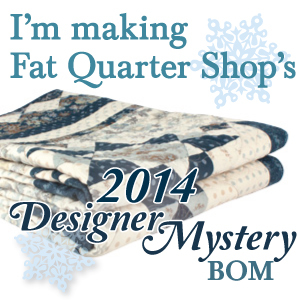 She designs her own templates and patterns and has the blog Pomegranate and Chintz. 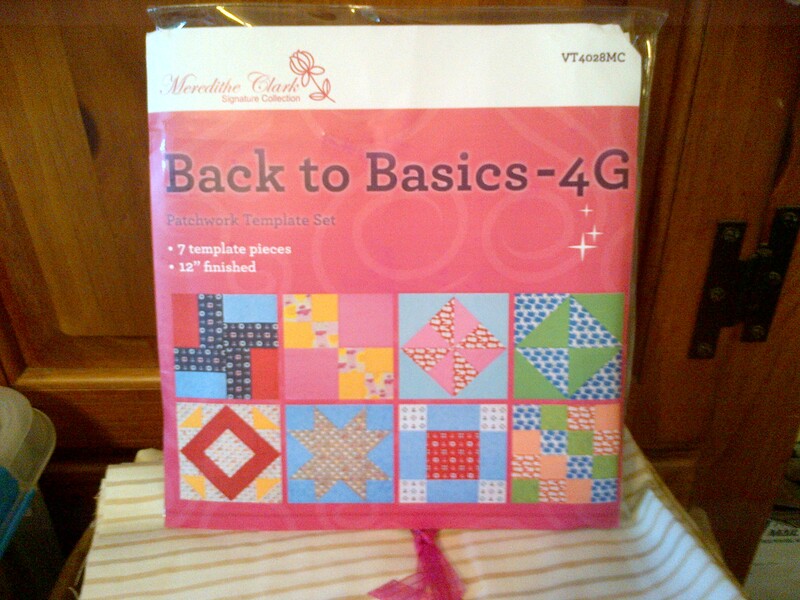 Check her out – you will love her pictures and she does a lot of quilting groups, and they eat very well I might add. Usually beautiful food pics to go with their progress pictures. The second one that I won was a drawing as a participant in the June AYOS sew along, hosted by Sherri and Sinta. Two great bloggers and I would not hesitate to assume, wonderful people. However, my prize was sponsored by Carrie Nelson herself! She is owned by her beautiful dog, Miss Rosie, of Miss Rosie’s Quilt Co. I feel like I have been touched by a celebrity! Well, I got both packages this past week and can’t be happier. 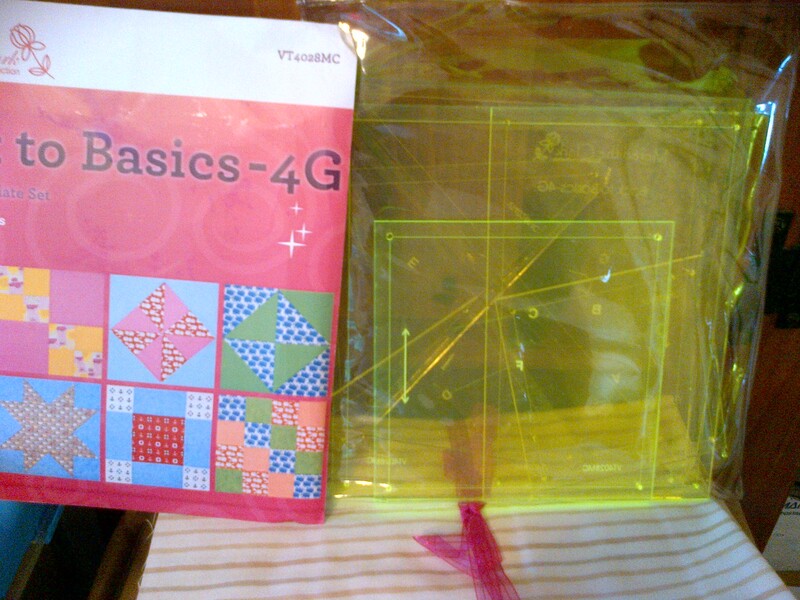 I won a set of acrylic templates designed by Meredithe which I love! (I love templates, they definitely fit my collection obsession). Carrie Nelson sent over a great bundle of precuts. 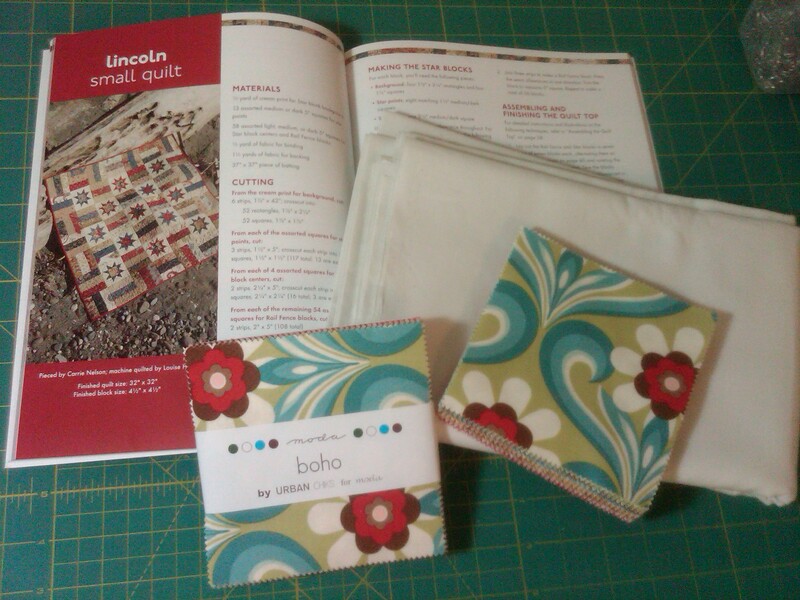 I am pleasantly surprised that I received two BOHO charm packs as part of this package and have decided to honor the gift by using them in my July AYOS quilt, Lincoln. I have already cut out my fabric, so more pictures on that progress early in the week. 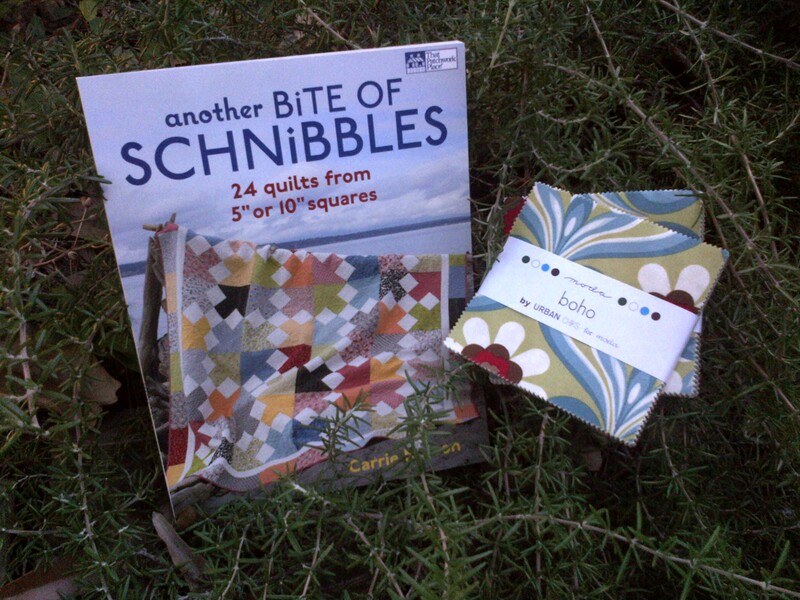 I had also ordered the book “Another Bite of Schnibbles” so I could get the Lincoln pattern and there are so, so many more in the book that I plan to make. (note … I could have sworn I already owned this book, but after dedicating at least two hours searching for it – I resigned myself to the fact that I did not, in fact, own this book. But I have at least three others by Carrie Nelson – so that may explain the feeling). Someday, I may have enough followers to offer giveaways and contests. But until then, I enjoy seeing this community grow and share graciously – and glad that I found them. And just in case I never win anything again, I have signed up for waaayyyy too many upcoming BOM patterns later in the fall. A lot of great ones coming out this year, so it will keep me in touch with my postman! Glad the templates have arrived safely and that you like them!! Lucky you to win twice in one month! Enjoy your other prize too. Would love to see what you create with both prizes! You and I were both lucky on the Schnibbles parade. I considered having a giveaway to share my prize of precuts, but like you, I don’t have enough followers. 😉 This is a great way to show off Carrie’s generosity – thanks for the idea!